Really, it’s Monday…arleady!? I suppose so…but what a great week it is going to be! I don’t know about you, but every Monday I try to pick one thing that I am looking forward to later in the week. Maybe that one thing is lunch with a friend, a homemade pizza with my hubby, a nap on the porch with Ruby, or a Wednesday night to myself. But this week…I have my sights set on something MUCH more exciting. This weekend one of my dearest friends, Delaney, and her family are making their first trip to Iowa to visit Ryan & I! I am so excited! Let me tell you a little bit about Delaney. She is the friend I can talk to for hours on end and feel as if only 5 minutes has passed. She is always there to listen…to laugh…to tell it like it is. When we first met, she thought my shoes were ugly. (In hindsight…they were hideous!) I thought she was a little outspoken. (In hindsight, I should have been more outspoken!) And now…I couldn’t imagine my life without her in it. If you don’t have at least an hour carved out of your week for a friend, schedule it today. Be thankful for your friendships…they are priceless. Heat a skillet over medium heat and drizzle EVOO. 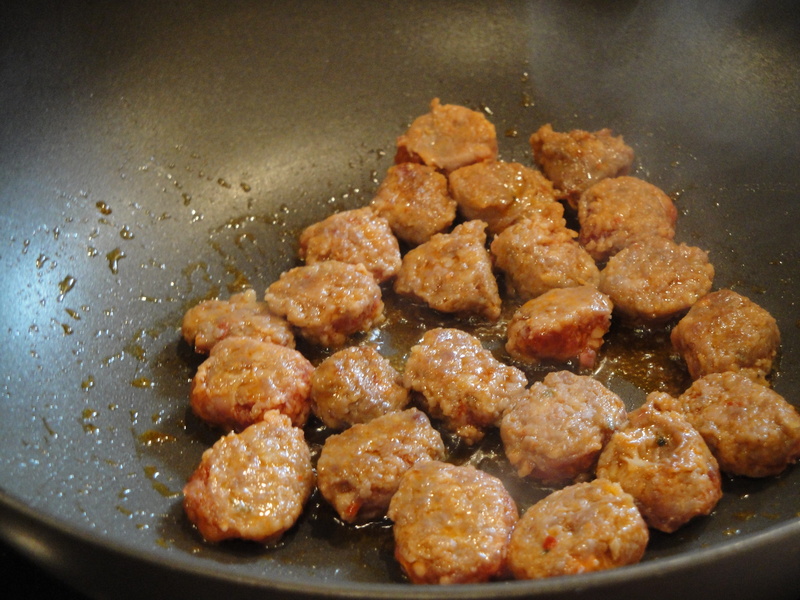 Heat the sliced sausage until browned on both sides (~3-4 mins/side). In a large bowl, combine the ricotta & romano cheeses. Fold in basil, egg and season with salt and pepper. Mix well. In another large bowl, combine red sauce, white sauce, and diced tomatoes. Start by ladling enough sauce into the 13 x 9 dish to cover the bottom (this will prevent the noodles from sticking). Layer 1: Slightly overlap noodles lengthwise so they cover the bottom of the pan. Layer 2: the cheese. Spread the ricotta cheese mixture over the noodles and smooth out with a spatula, and then cover with a thick layer of shredded mozzarella cheese (the more the better!). Layer 3: the goods. 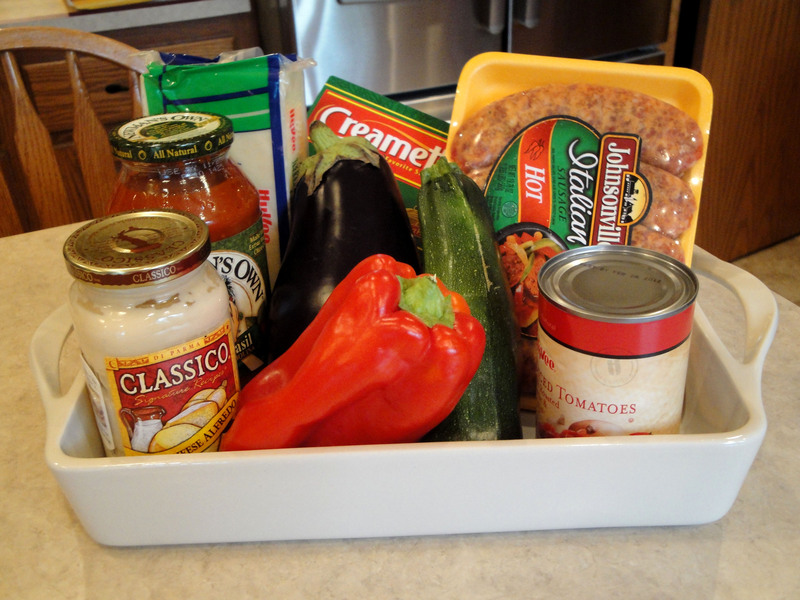 In a design all your own, top the cheese with sausage, red pepper, eggplant, and zucchini (or veggies of your choosing). Layer 4: the sauce. 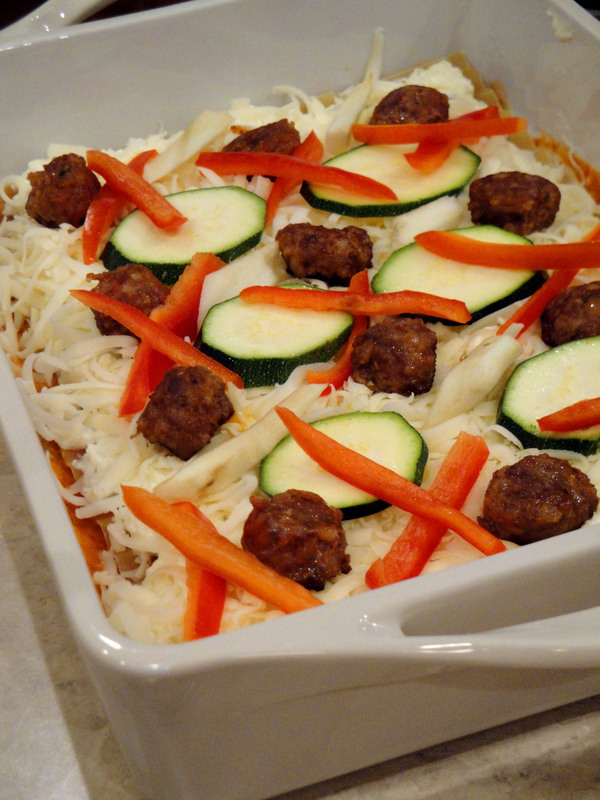 Top veggies/meat with a full layer of sauce (half of the remaining sauce). Smooth it out with the spatula. Layer 5: more noodles. 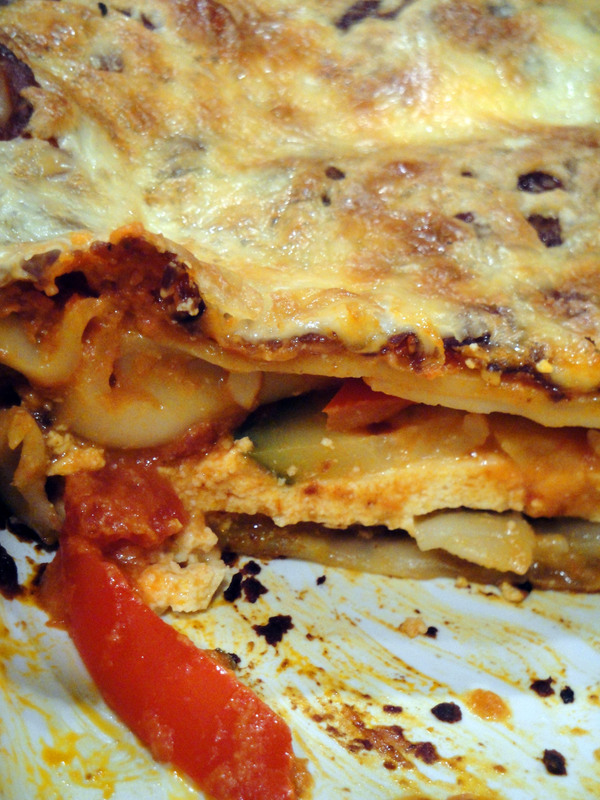 Finish with a layer of noodles, tomatoes sauce, and the remaining mozzarella. Bake for 1.5 hours, until golden and bubbly. 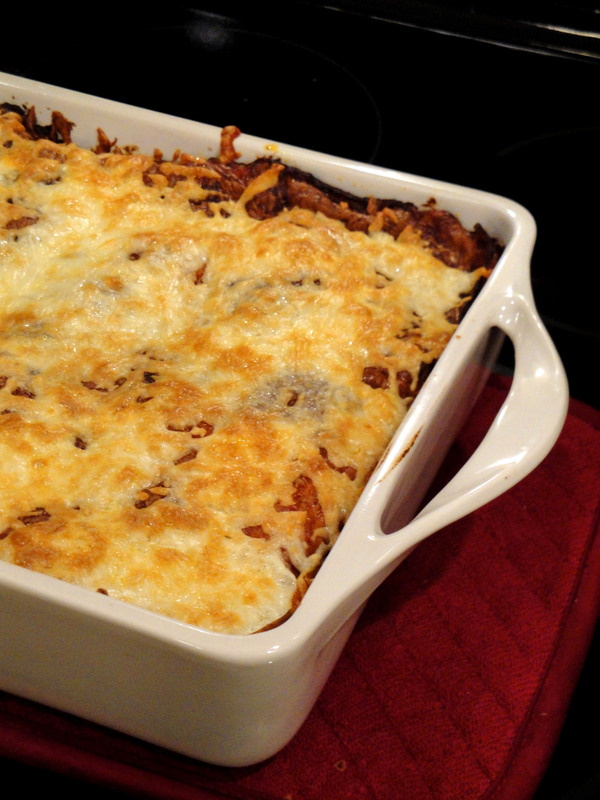 Allow the lasagna to sit for 20 minutes so it doesn’t ooze all over the place upon serving. Garnish with additional tomato sauce and grated mozzarella. Simple! Enjoy for dinner tonight…and have leftovers for the rest of the week. Sounds so good- will definitely have to try! 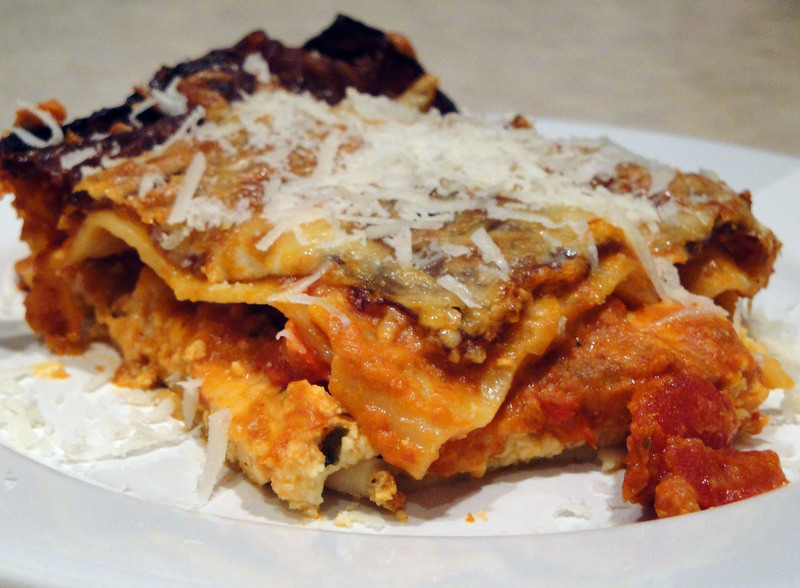 Made Summer Lasagna tonight. DELISH! !